Let’s face it. Most accounting software isn’t built for project work, and most industry-specific solutions lack the accounting tools you need. Microsoft Dynamics SL combines robust and customizable project management functionality with distribution, service, and comprehensive accounting capabilities. Microsoft Dynamics SL can be deployed in the cloud or on premises. Flexible and scalable, Dynamics SL lets you start with the functionality you need today, and easily adapt as your business grows. 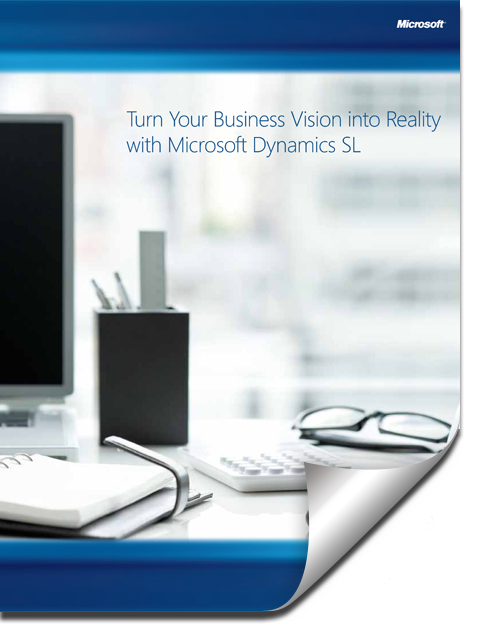 Below is an overview of the key functionality and product capabilities of Microsoft Dynamics SL. Dynamics SL’s powerful Financial Management tools give you accounting solutions that can easily be customized to your organization’s specific needs. The Project Management modules for Dynamics SL help you control costs and ensure projects are completed on time and in budget. The robust Supply Chain Management tools in Dynamics SL enable businesses to streamline their manufacturing and distribution processes. The Field Service Management tools for Dynamics SL allows businesses to automate their operational and accounting processes. The Payroll Management module for Dynamics SL allows businesses to streamline payroll and benefits administration processes. Business Portal for Dynamics SL gives employees, partners, and customers role-based access to up-to-date business information any time or anywhere. Dynamics SL includes robust Business Intelligence (BI) tools designed to help you turn transactional data into actionable information. Dynamics SL includes a suite of Web Apps that allows users access from any devices that support HTML5, including desktops, laptops, tablets, and smartphones. Find out why project-focused businesses worldwide choose Dynamics SL for their accounting and business management needs. 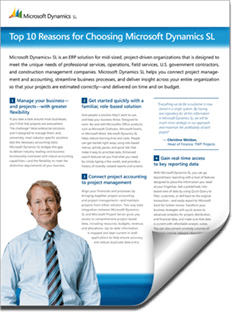 Learn more about how Microsoft Dynamics SL can benefit your project- or service-driven organization.